Guys, it´s already February and the first month of the new year rushed in a hurry. Berlin fashion week and a few travels so as shootings, events and meetings made January a tough mess for me but now I´m finally back with a new article and stories to share..
My next business trip is starting in less than 2 weeks and the best part about it is that I will discover a country that I have never been before. I´m super excited and will also have a special shooting with a famous photographer, who even had models like Kate Moss in front of his lens (excitement level 1000%!). Within this article I wanted to share a more casual and sportier inspired look. My training routine is currently on fire and I feel so happy and fulfilled with my new gym partner John Reed fitness. You guys might remember my last post, where I was also giving away a membership, so as sharing some impression of my fitness shooting. The clothes I wear in this post are from Lee. I had a spontaneous fitting with the brand, just one day ahead of Berlin fashion week. I remember that I just recently had a chat with some followers on a poll on Instagram, that I had such a struggle to find a good fit for a pair of jeans but during that one fitting for Berlin fashion week, I finally found a new mom jeans, since I sold my old one. 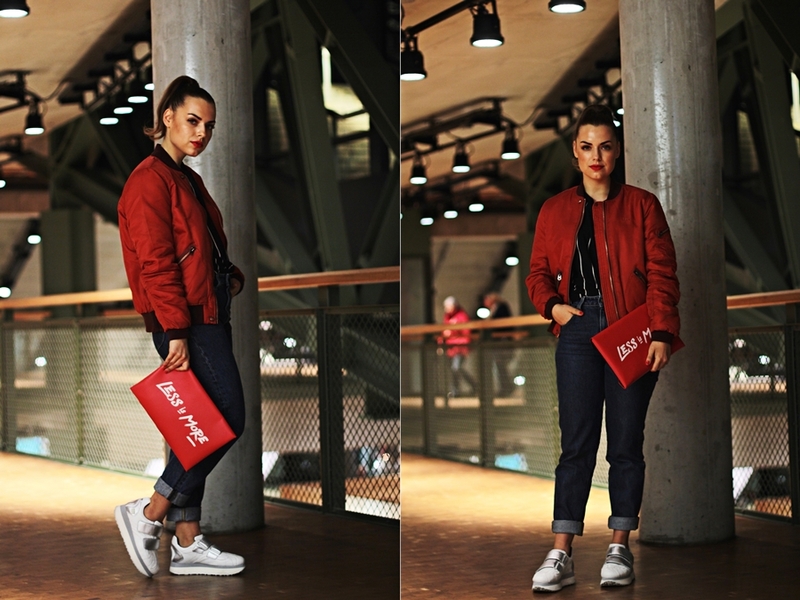 I know, that it´s super obvious, but I absolutely adore rich colors and the combination of my orange bomber jacket and the red clutch, which is by the way a special edition that I received from my lovely make up partner L'Oréal Paris and which lately made me even more obsessed with my color blocking addition. A true highlight of this look are my Giulia and Romeo designer sneakers. 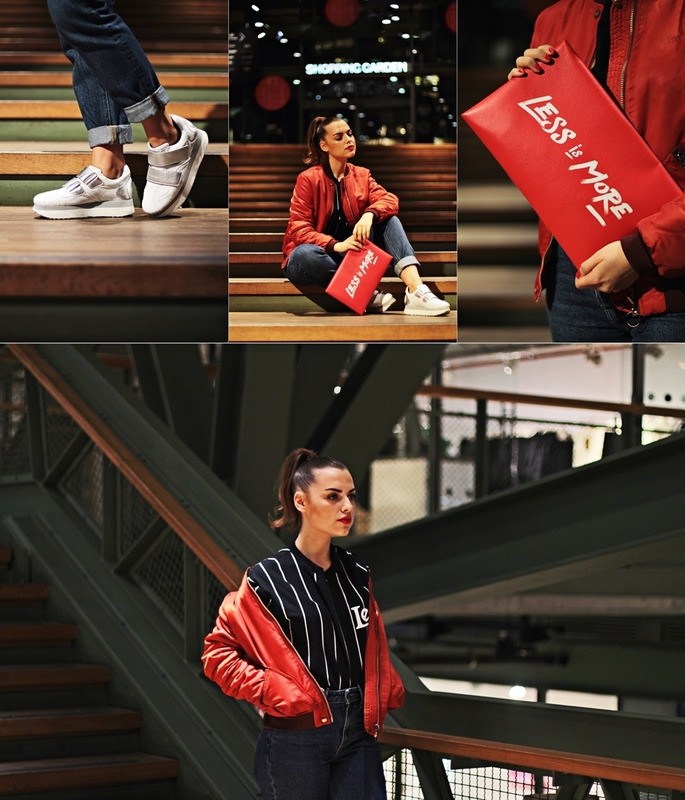 The brand is established in Munich and completely vegan. The silver details make this pair of shoes definitely an it piece and a true eye catcher. Well, let´s make this new moth a blast and my fingers are still crossed that Berlin will heat up soon. I already have so many ideas for fresh spring styles that I finally want to shoot.